One of the most important mechanisms of a modern floor scrubber is the squeegee mechanism located below its base. There can be times when this section becomes loose or it is otherwise not in the correct position. 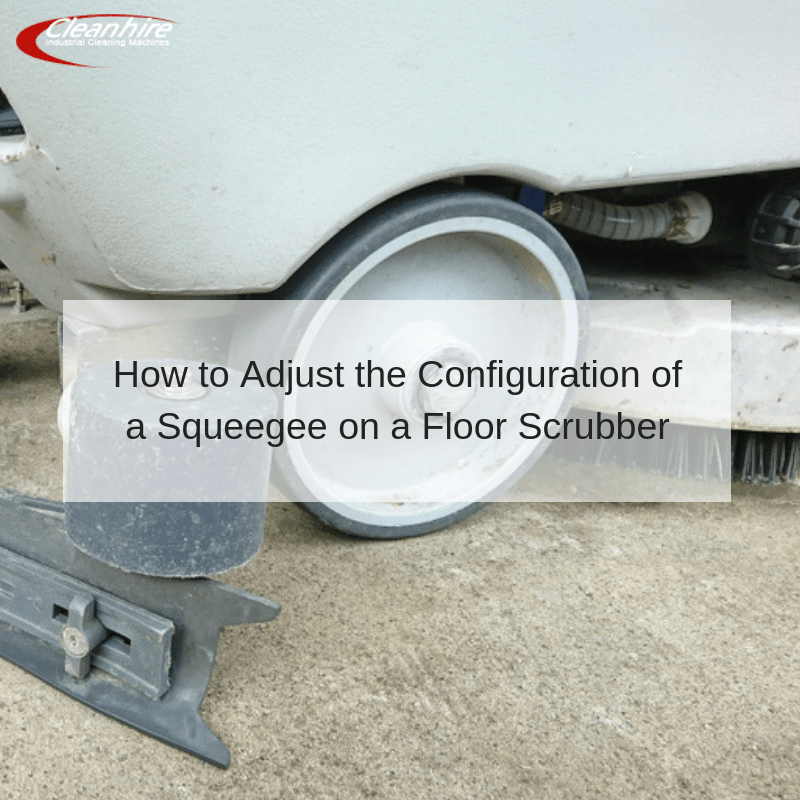 In order to fully experience the benefits of a professional floor scrubber hire service, it is prudent to appreciate how this squeegee can be adjusted with a few simple steps. Let’s take a look at how to correct three common situations. This is the most common problem and it can be easily rectified. The blade will need to be lowered into place. Take off the vacuum hose and turn the lock nut counterclockwise until the adjustment bolt can freely move. Once you have lowered the blade to the appropriate position, tighten the lock nut and reattach the vacuum hose assembly. Once again, you will need to remove the vacuum hose and loosen the associated lock nut. In this situation, pay careful attention to the angle of the squeegee blade to note if one side is higher than another. A handheld level can be used to ensure that it is parallel with the floor. Assuming that both sides are equidistant from the subsurface, tighten the lock nut. Test the machine out in order to determine if any further modifications need to be made. Then, reattach the vacuum hose. This scenario could be caused by an incorrectly placed squeegee or it might be the result of a dirty blade. First, raise the squeegee to its highest position by following the previous steps. Clean the blade with a rag or towel so that any debris is removed. Lower the squeegee back into place and test its effectiveness. Note that the vacuum hose will not need to be removed in this case. In the event that streaks are still forming, the blade itself may need to be replaced. The good news is that adjusting the angle and height of a squeegee blade is quite simple. Still, always be sure to read the owner’s manual and adhere to all associated recommendations. Anyone who would like to hire a modern and professional floor scrubber is encouraged to speak with a representative from Cleanhire UK at their discretion. How Could an Industrial Vacuum Cleaner Help My Business?